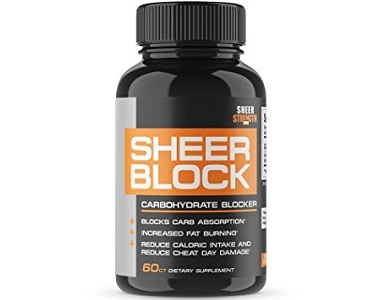 Sheer Strength Sheer Block Review - Does It Work? 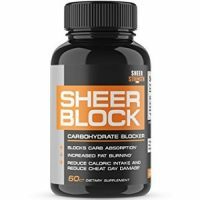 Our review today focuses on Sheer Strength Sheer Block, an all-natural carbohydrate blocker. It utilizes two main ingredients. These are White Kidney Bean Extract and Green Tea Catechins. While the former helps prevent the body from digesting carbohydrates, Green Tea and its ingredients stimulate the metabolism. Consequently, this supplement has a dual working action: fat loss, and the ability to increase the rate at which remaining bodily fat is burnt. Why have carbs received such a bad reputation? Carbohydrates and sugars are easily absorbed by the body and stored as fat. However, they have low nutrient values. On the other hand, proteins contain amino acids. These are necessary to build muscle. Muscle requires more energy from the body, so it increases your base metabolism, unlike fat. In addition, because carbs are broken down into sugars, they increase your blood-sugar levels. Sugar spikes and withdrawal cravings when the spike drops suddenly, often follow. This traps you in a vicious cycle of consuming needless calories. What’s in Sheer Strength Sheer Block? 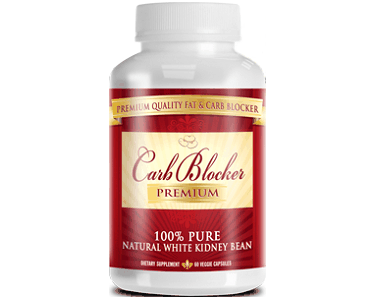 White kidney bean extract has been linked to fat and weight loss because it stops amylase from being produced by the body. Amylase breaks down carbohydrates so they can be digested. Therefore, amylase inhibition leads to carbs passing right through the digestive tract. As a result, no calories are absorbed from these carbs. The kidney beans are rich in fiber, so you will feel full for longer. Additionally, the whole action of preventing carbohydrate digestion prevents sugar spikes. This means you will have fewer sugar cravings. Green tea catechins have also been linked to weight loss. They are especially powerful when supplemented by exercise. The natural fat burning process of the body is stimulated, so stubborn fat, for example, abdominal fat and adipose tissue, are targeted. Kidney beans can have side effects so you should never take an overdose, or use them permanently. They are probably safe in the long term, but this has never been proven with scientific accuracy. How Do You Use Sheer Strength Sheer Block? Take one capsule with fluids daily, preferably before your biggest meal. Not suitable for those under 18. Pregnant women should also steer clear. You can by a bottle of 60 capsules on the product website for $19.99. Yes, but you cannot use the product and return an empty bottle. You may only return it unopened within 30 days. The product receives very good reviews. We like the dual action of this supplement. It also does not exceed maximum daily intake allowances, which is great. However, do note that some consumers experience increased sweating and body heat levels when taking Sheer Block. This is no doubt due to the fat-burning mechanisms. Also note that this is not a magic weight-loss formula – a good diet and exercise are essential in the long term. We do not like that there is no satisfaction-based guarantee, but this does not seem to have put off consumer confidence. Consumers report good customer service.